After three relatively quick days of play, the 2013 World Series of Poker Event #22, $1,500 Pot-Limit Omaha has crowned a champion—Josh Pollock. The 29 year old from Silver Spring, Maryland topped a field of 1,021 players to win his first WSOP gold bracelet and $279,431 top prize. The day kicked off with an early elimination when Brandon Crawford, who had finished as the Day 1 chip leader, fell on just the sixth hand of the final table. It happened when he got the last of his chips in on the turn with three pair only to run into Noah Schwartz’s flopped nuts. The river failed to help Crawford and he exited in ninth place for $19,909. It took awhile for the next elimination to occur, 61 hands in fact, but finally came in Level 21 (8,000/16,000) when David Greene fell to Josh Pollock. In Level 22 (10,000/20,000), Wisconsin’s Eddie Blumenthal was eliminated by Schwartz, giving him his second seventh-place finish of the 2013 WSOP—the other came in Event #15 $1,500 H.O.R.S.E. for $28,778. Later on in the same level, Eric Shanks of Chicago, Illinois got unlucky when his was cracked by Pollock’s in an all-in preflop confrontation after the board brought three spades. 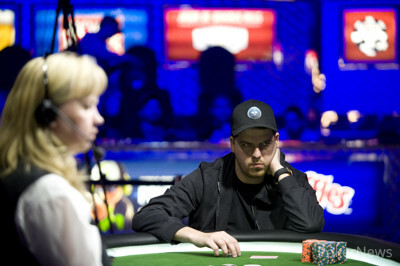 Shanks exited in sixth place and took home $43,460. On the first hand back from the dinner break, which was also the first hand of Level 24 (15,000/30,000), Shawn Silber was eliminated in fifth place by Pollock , though Silber was essentially done in by James Park when he was crippled in the last hand before dinner. 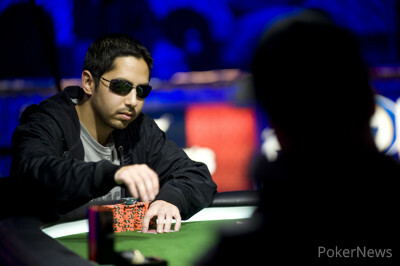 Three hands later (Hand #133 of final table), James Park also eliminated KT Park—no relation. Unfortunately for him, James wasn’t able to ride that moment past third place. That’s where he finished when he ran queens into kings against Schwartz. That left Schwartz with a nearly 3-1 chip lead going into heads-up play against Pollock. Schwartz seemed destined to win his first bracelet, but over the course of a 62-hand-long heads-up battle, Pollock managed to score a few fortunate doubles and then took the chip lead shortly thereafter. From there, he whittled Schwartz down and then delivered the fatal blow on Hand #215 of the final table. 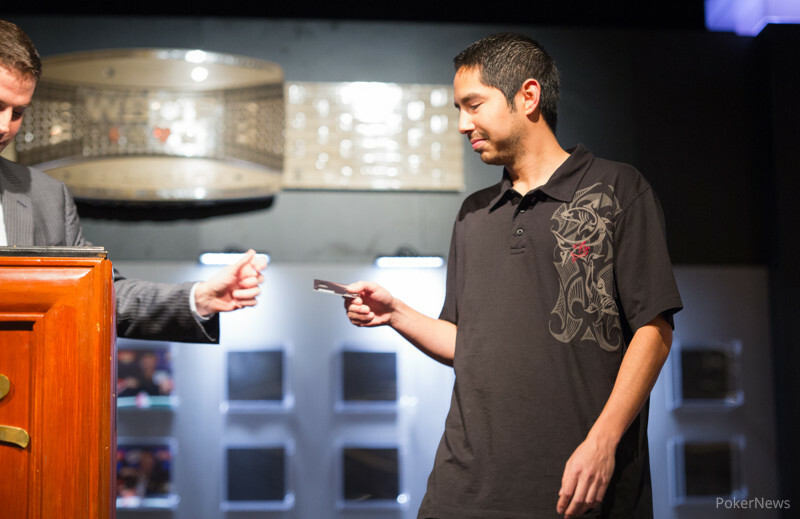 Congratulations to Josh Pollock on becoming a World Series of Poker champion and taking home his first gold bracelet! Noah Schwartz - 2nd Place. Hand #215: Noah Schwartz raised to 155,000, and Josh Pollock called. He then checked the flop, and Pollock checked 200,000. Pollock raised the pot, and Schwartz called off the last of his chips. Both players had flopped straights, but Pollock's was better. Schwartz was already drawing dead, and the and completed the board. Hand #213: Josh Pollock got a walk in the big blind. Hand #214: Pollock limped and Noah Schwartz checked his option. The flop saw Pollock bet 75,000, Schwartz call and the turn. Both players checked to the river and Schwartz bet 100,000. Pollock thought for about a minute before making the call only to muck when Schwartz showed the for a flush. Hand #208: Josh Pollock limped, and Noah Schwartz raised to 180,000. Pollock folded. Hand #209: Schwartz raised to 130,000, and Pollock called. Both checked the flop, and a turned. Pollock bet 100,000. Schwartz called him. A fell on the river, and this time Pollock checked. Schwartz did so as well. Pollock won with for two pair. Hand #210: Pollock raised to 130,000. Schwartz folded. Hand #211: Josh Pollock bet 75,000 on a flop, and Schwartz called. A turned, and Schwartz bet 125,000 when checked to. He won the pot. Hand #212: Both players checked a flop and a turn. Schwartz check-folded the river. Hand #207: Noah Schwartz raised to 125,000, Josh Pollock raised pot to 375,000 and Schwartz called. When the flop came out , Pollock led out for 250,000 and Schwartz snap-folded. Hand #206: Josh Pollock raised to 130,000, and Noah Schwartz made it 390,000. Pollock put Schwartz all in, and he called. Schwartz's queens held up on the board, and he took his turn to double. Hand #204: Josh Pollock raised to 125,000, Noah Schwartz called and the flop came down . Schwartz checked, Pollock bet 75,000 and Schwartz woke up with a check-raise to 225,000. Pollock took his time before three-betting, to how much we're not sure, but it was enough to do the trick as Schwartz folded. Hand #205: Schwartz raised to 130,000 on the button and Pollock defended. 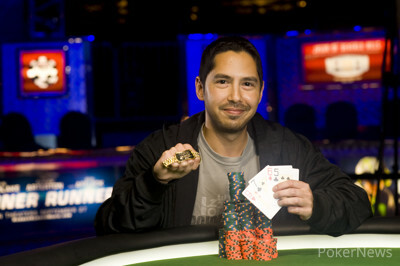 The latter then led out for a pot-sized bet (360,000) on the flop and Schwartz folded. Hand #199: Josh Pollock checked a flop, and Noah Schwartz bet 100,000. Pollock called. A turned, and both players checked. The river came , and Pollock bet out 200,000. Schwartz folded immediately. Hand #200: Pollock called from the button, and Schwartz checked. Both check a flop of , as well as a turn. A on the river finally elicited a bet, 60,000 from Schwartz. Pollock folded. Hand #201: Pollock got a walk. Hand #202: Pollock raised to 125,000, and Schwartz called. The flop came , and both players checked. A peeled on the turn, and both checked once more to see a . Both checked, and Schwartz's won the pot. Hand #203: Schwartz bet with the board reading , and Pollock folded. Hand #198: Noah Schwartz opened for 150,000, Josh Pollock called and the flop came down . Pollock checked, Schwartz bet 200,000 and Pollock called. The turn saw Pollock lead out for 450,000 and Schwartz make the call. The river prompted Pollock to bet and Schwartz to bet 550,000. Pollock made a quick call with the for a flush, which bested Schwartz's three tens.